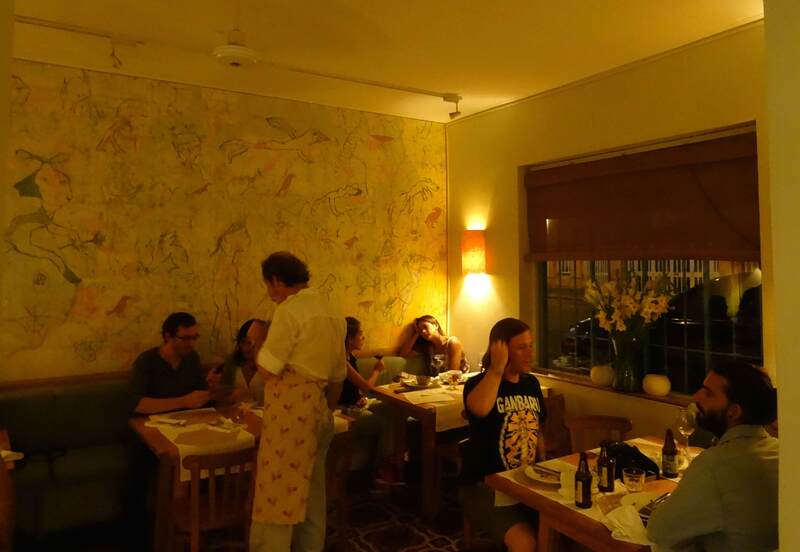 Tell people you’re going to Lima and there’s a good chance they’ll mention the food – this increasingly cosmopolitan city has emerged as a gastronomic hotspot, with many globally recognized restaurants and award winning chefs putting Lima on the food map. Peru is known for its meat culture and superb ceviche – but what if you don’t eat meat? 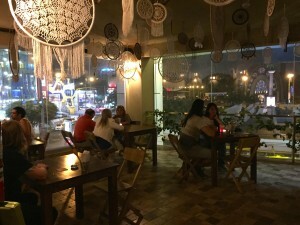 At most restaurants and cafes in Lima you’ll find a vego option, but if you’re after more inspiring fare (and more than just one choice), you need to know where to go! 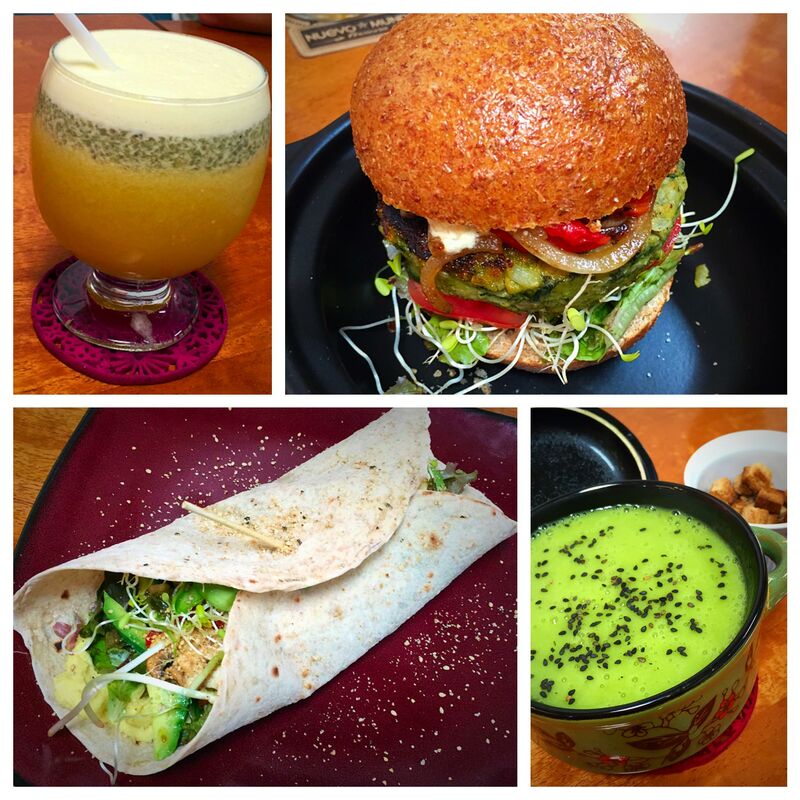 So here are my favourite vegetarian (and vegan friendly) haunts around Miraflores and Barranco. you’re going to get! The servings are generous; soup or salad for entrees and staples for mains, eg rice and stuffed potatoes or quinoa stew with a vegetarian patty. The interior is very basic and the atmosphere informal – it gets busy at lunchtime but the service is swift and the turnover is huge; you won’t be waiting long for a table. It’s only open for lunch but across the road they have a second restaurant, which is open in the evenings and has juices, desserts and ice cream. Opened in 1972, Bircher Benner is well established and frequented by locals, serving up classic Peruvian dishes that are vegetarian modified, eg vegie ceviche and lomovel saltado (vego version of lomo saltado, a popular dish similar to stir-fry). 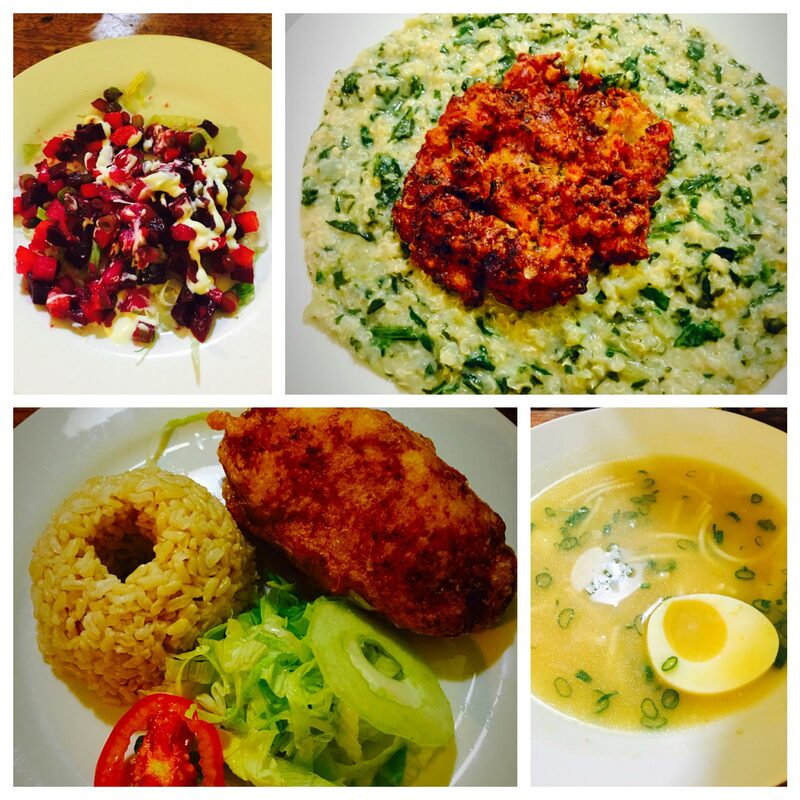 Monday-Friday lunchtime you can order the daily set menu for around 19 soles, or a special main for 22 soles. The evening a la carte menu (which is huge and includes pizza) is also available to order from at lunch. 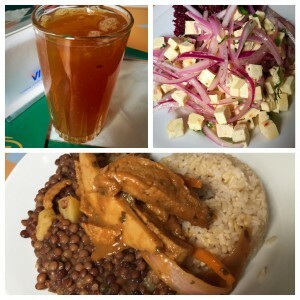 I had the set lunch menu – tofu ceviche and lomovel saltado – both were full of flavor and very filling. There were two healthy drink concoctions to choose from: an ‘emoliente’ or a yoghurt probiotic. I went with the emoliente; a traditional Peruvian health elixir that’s served warm and particularly popular in winter. My boyfriend opted for the ‘cheeseburger’ & potatoes special; probably not the healthiest option but nonetheless totally delicious! The décor is dated but charming, the staff were very friendly and there are vegan options. They also have a health food shop set up at the register. 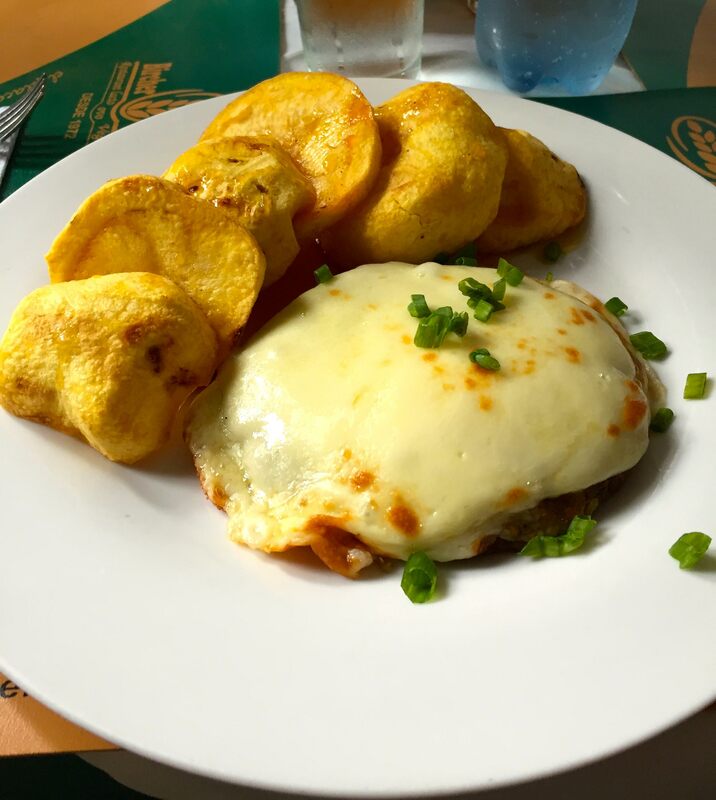 Another good option for a cheap and filling meal, El Vegetariano is owned by an ex Bircher Benner staffer. The food is similar but cheaper and the restaurant is much smaller. They have a daily menu for lunch and are also open in the evenings. 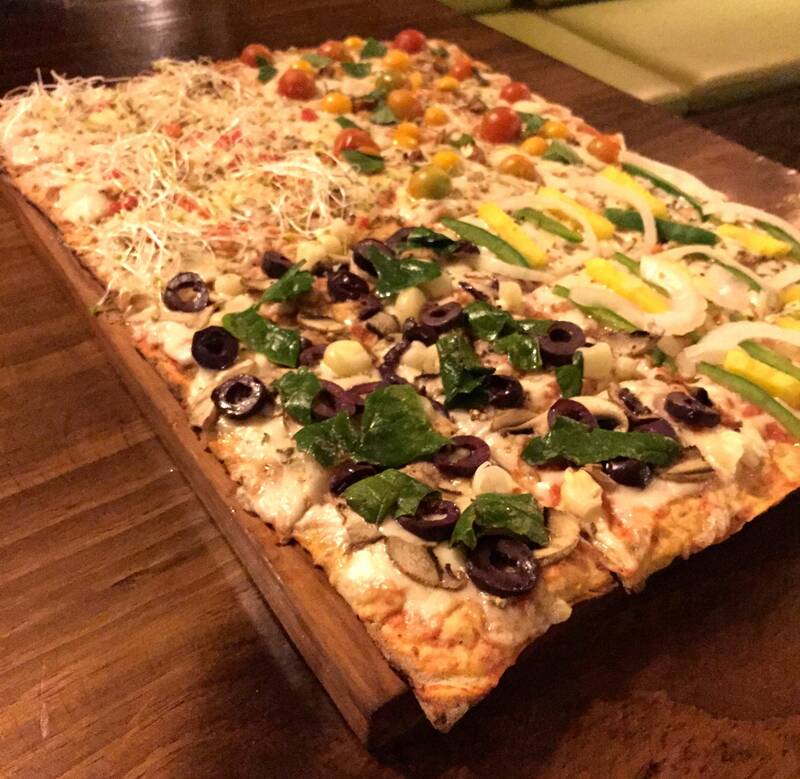 The staff is incredibly helpful and happy to explain any dish; they’ll also substitute non-vegan ingredients to make your dish vegan friendly. 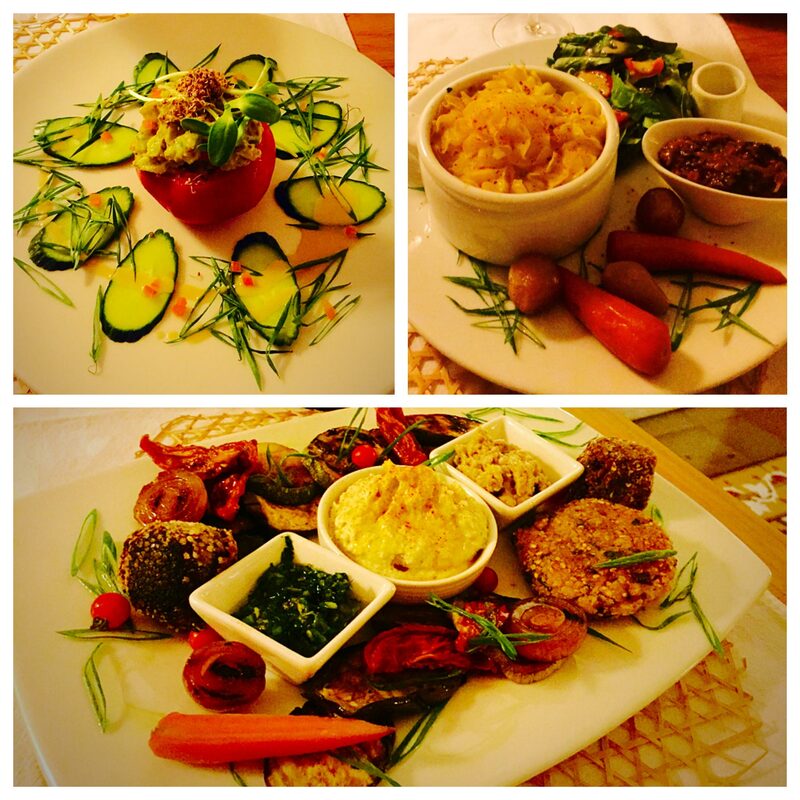 This fabulous restaurant is tucked around the corner from bustling main street, Calle Berlin. It’s very pricey by Peruvian standards but well worth spending the extra for a special night out and ordering a few courses. The menu is inventive and varied, with the food beautifully presented, super fresh and absolutely delicious. The chef puts a lot of heart into his cooking and it shows. 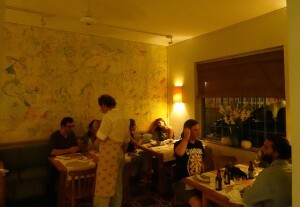 The atmosphere is a little subdued with low lighting and our waitress wasn’t particularly chatty but the food and wine (Chilean) was fantastic. For an entrée and main plus beer/wine we paid about $45 AUD per head. Upstairs they have a health food store which also sells cute locally made knick-knacks. If it’s a big, hearty, gourmet burger you’re after, this is the place – especially if you’re with non-vegetarians. 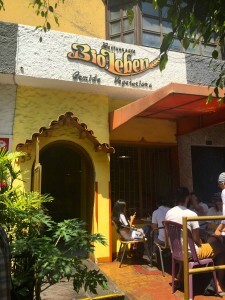 This is Gaston Acurio’s affordable burger joint; he owns the popular Los Bachiche and is a big name in the Lima restaurant scene. 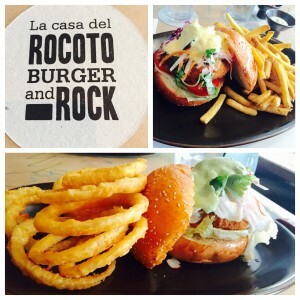 What separates Papacho’s from other burger places is its use of Peruvian flavours and ingredients. There are four vego burgers to choose from and they are huge – you might think twice about fries or onion rings on the side! It’s a fun, casual atmosphere with loud music and roomy booths. 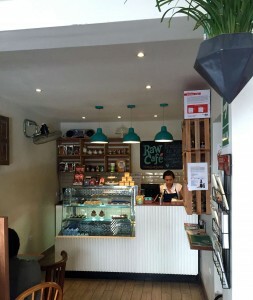 Raw Cafe is a real find – a hidden gem that is not easily noticeable if you’re just walking past; you have to know this one is there. The kitchen whips up delicious salads, sandwiches, wraps and even nachos; everything is incredibly fresh, nutritious and flavoursome. We walked away feeling pleasantly satisfied and not bloated or too full. It’s a friendly, busy place that fills up quickly. A must for anyone after a tasty and uber healthy meal – vegan or not! 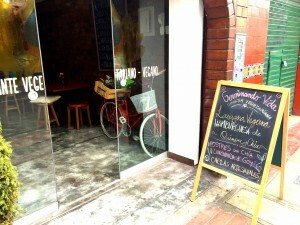 This is a great café/restaurant in Lima’s artsy Barranco district. It’s on the main street, right near the Plaza. There are plenty of vegan options; I had an incredibly tasty wrap with loads of flavour – including hummus! Hummus is a rarity in Peru so you know you’re in the right café when they make good hummus. The food is wholesome and delicious – think green juices and soups – and their fresh juices are served with healthy add-ons like chia (for an extra sole). You’ll also find lasagna and pasta on the menu. Directly across the road is the Choco Museo where you can go for a tasting of their homemade chocolate. 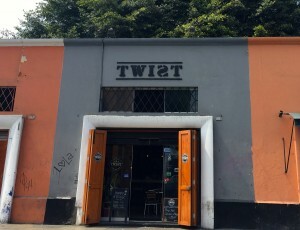 Twist is great little burger place featuring an extensive menu for both carnivores and vegetarians. There are custom vego options but the cool thing about this place is that they will substitute any of the meat options (and there are a lot!) 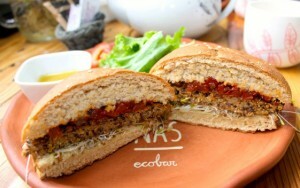 for your choice of their vegetarian patties… so there are actually no limits! 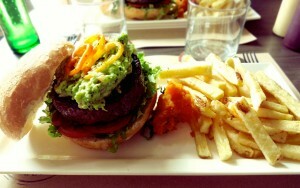 The servings are big and it’s a satisfying burger. The service was great with really friendly staff and there’s seating upstairs where you can watch the passing parade on Barranco’s main strip. 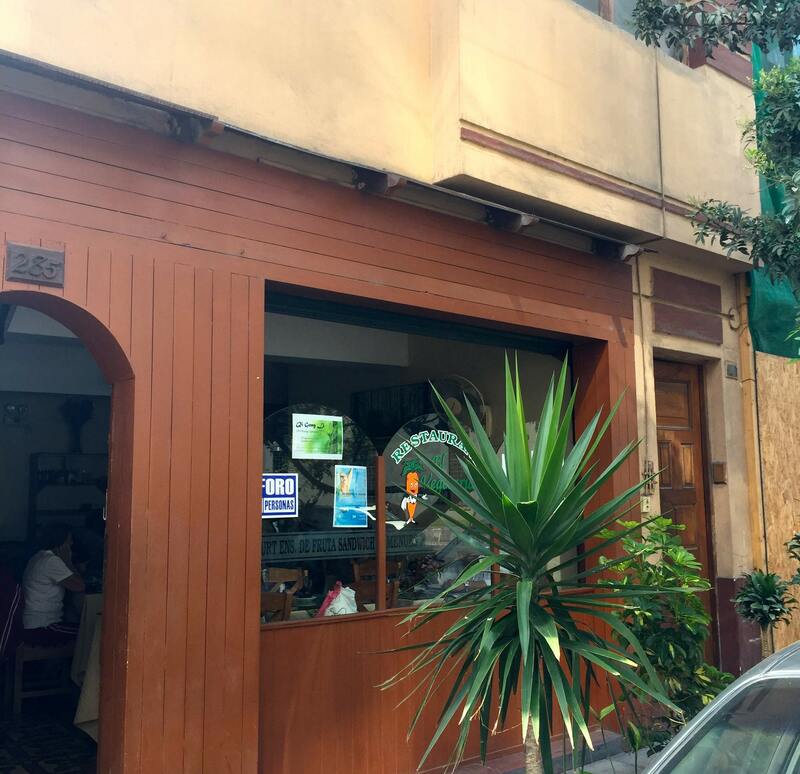 This is a cool and cosy place with a small plate/tapas style, housed within an old colonial house just off Barranco’s main strip. 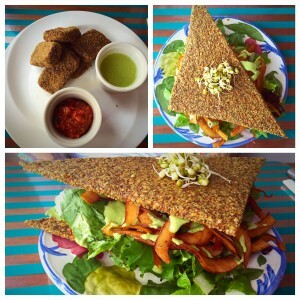 It’s not all vegetarian but there are loads of vego options and the food is organic and delicious. 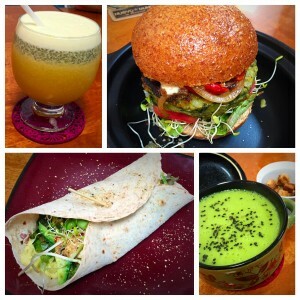 They have fresh juices and great desserts, as well as local microbrews. It’s got a great vibe and also features a coffee bar and secondhand shop – lots of fun! Click to learn more about where to Travel in Peru.